Do you feel like you spend a lot of money on your employees without a reasonable ROI? Review any investment that you made in HR recently, what was the hard dollar ROI? Are you willing to take this first step in taking HR from being a cost center to a profit center? This is the basic symptom of the problem that led to the creation of People Profits. 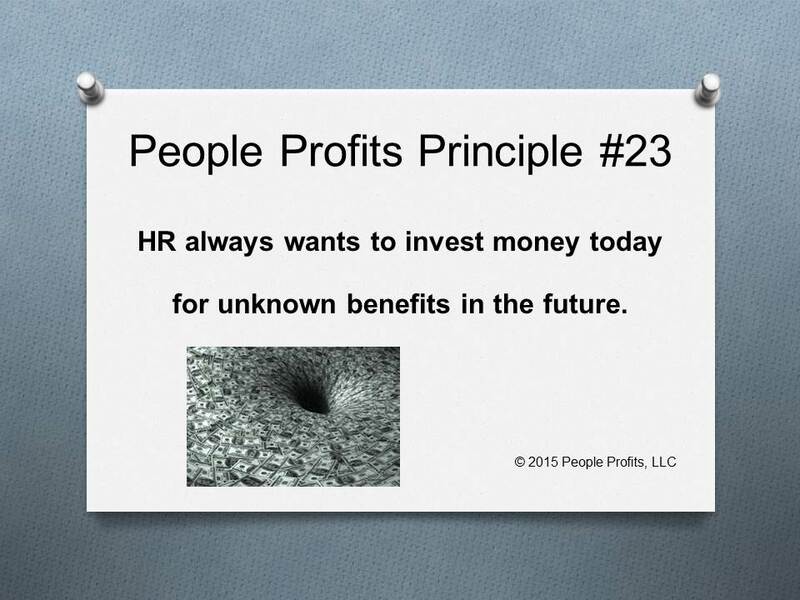 HR must be held accountable for their investments just like everyone else. Engagement, turnover, cost to recruit are all objective numbers to be used to evaluate the effectiveness of our HR investments. We must measure every investment that we make throughout the organization including HR.